Description Check out this 2015 GMC Terrain SLT. Its Automatic transmission and Gas/Ethanol V6 3.6L/217 engine will keep you going. 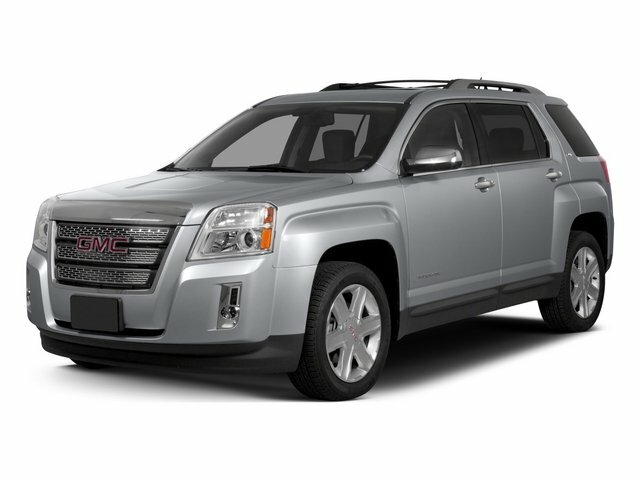 This GMC Terrain has the following options: WHEELS, 4 - 18" X 7.0" (45.7 CM X 17.8 CM) CHROME-CLAD ALUMINUM, UNIVERSAL HOME REMOTE includes garage door opener, programmable, TRANSMISSION, 6-SPEED AUTOMATIC (STD), TRAILERING EQUIPMENT includes Class II 1-1/4" receiver hitch and 4-wire connection. (Maximum trailer weight of 1500 lbs. (680 kg) with (LEA) 2.4L I-4 SIDI engine and maximum trailer weight of 3500 lbs (1588 kg) with (LFX) 3.6L V6 SIDI engine. ), TIRES, P235/55R18 ALL-SEASON, BLACKWALL, SLT-1 PREFERRED EQUIPMENT GROUP Includes Standard Equipment, SEATS, FRONT BUCKET (STD), SAFETY PACKAGE includes (UEU) Forward Collision Alert and Lane Departure Warning and (UD7) Rear Park Assist, REAR PARK ASSIST, and MIRRORS, OUTSIDE HEATED POWER-ADJUSTABLE, CHROME AND MANUAL FOLDING.